I love fall. The leaves, the weather and most importantly the food. I have never been a warm weather person and I pretty much am miserable all summer with the humidity and the heat. No amount of air conditioning ever seems to cool me down enough. When fall rolls around the the temps start to drop, I love it. The weather hasn't gotten bitterly cold, but is just cool enough to start to enjoy great dishes like soups and stew. Beans are one of my favorite ingredients in the fall. There is something very comforting and delicious about all varieties of beans. Luckily my two boys share my love of beans, with one of their favorite fall dishes being bean soup. They absolutely love it and will eat multiple servings. Last week I tried a new recipe for Lemony Lentil Soup from the September issue of Parents magazine, which looked like a perfect fall dish. This recipe has 12 ingredients. It takes 6 hours of total time, 15 minutes of which is active and makes 4 servings. I had no problems finding any of the ingredients and made no substitutions. I know from previous experience that my local grocery and super stores don't carry red lentils. However, the farmer's market in Charleston does, so I always buy a few pounds and keep it in my cupboard. I love that they have bulk beans, they are a great way to save money. Make sure to mince the carrots and onion. The recipe states to chop both of the ingredients, but my husband and I weren't fans of the texture after being in the crockpot. I would suggest dicing both of the ingredients and then sauteing them in a little bit of butter until they are soft and then adding to the crockpot. This would eliminate the texture problem. I followed the remainder of the recipe as written. I love lentil soup. The lemon flavor in this soup was delicious and really brought out the flavor of the lentils. The one thing that I was not a fan of was the texture of the carrots and onion. They tasted almost not all the way cooked and they definitely would be better diced and then sauteed instead of chopped. The leftovers of this soup re-heated well and my two boys ate the leftovers happily. For the recipe go to Lemony Lentil Soup. Oh thank you for this. I absolutely love soup and stew year round, but something about fall that makes it even better. Yum! This sounds so good...we eat Lentils in my home all of the time! I will have to try this out! We eat a lot of lentils also, they are delicious! I'm so glad you joined us for the Southern Mama's blog hop! You have the best recipes listed :) I'm going to have to try some of these out! new follower from the bloghop! This sounds so good. 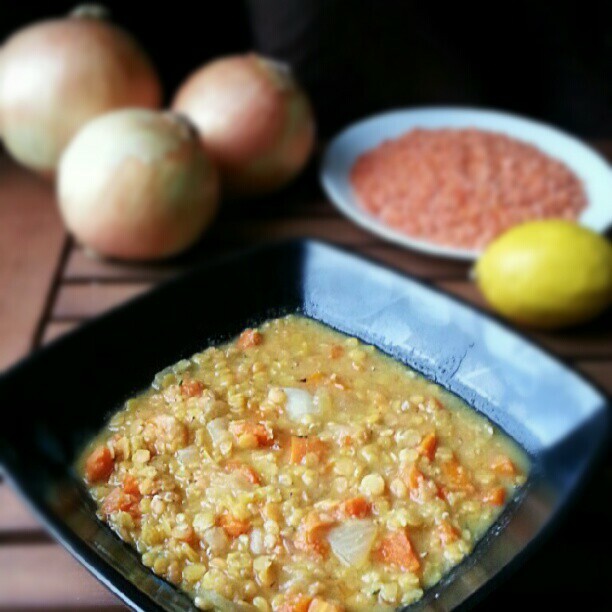 I love lentils and lemon. Will definitely check out for this weekend. Thanks for sharing!